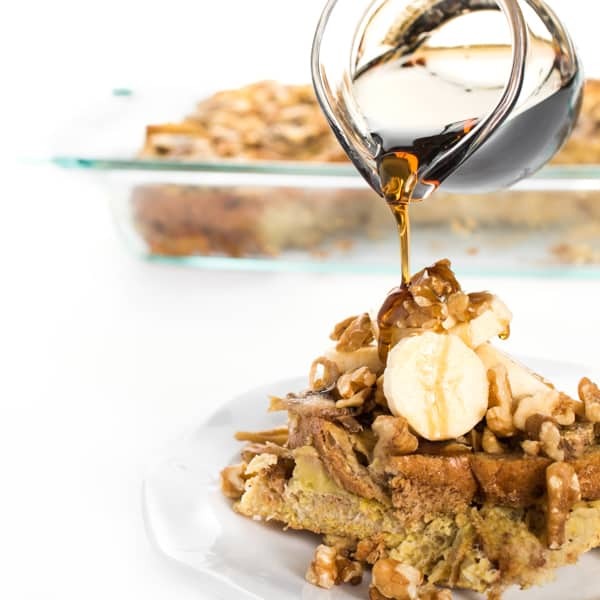 This warm and satisfying banana nut French toast bake is ideal for prepping ahead and baking in the morning. 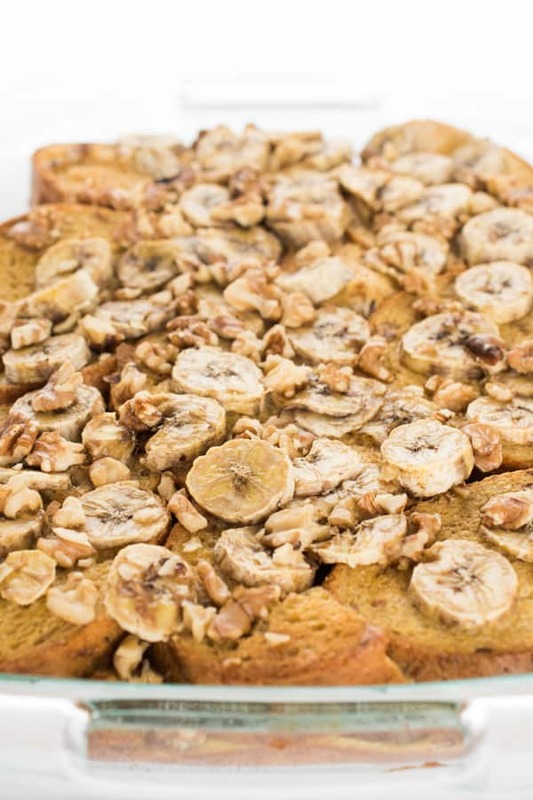 The ultimate crowd-pleasing breakfast recipe! People often ask me how I make time to manage my business, take care of my two boys, get to the gym every day and eat healthy, home cooked meals throughout the week. While there are several factors in the equation, one piece of advice I can’t stress enough is the importance of meal prep. When I take a little bit of time on Sunday to plan out our meals for the week (not just dinner, but breakfast and lunch as well), I find myself always one step ahead of the game come Monday morning when the madness starts all over again. 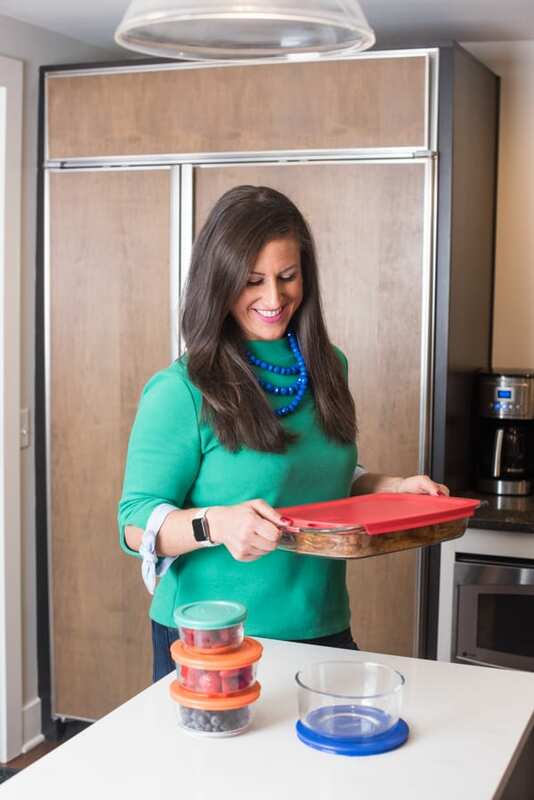 By keeping my kitchen well stocked with Pyrex glass baking and storage dishes, I can easily transport dishes from the refrigerator to my pre-heated oven while also keeping food fresh with its air-tight lid. I always feel better serving my family meals prepped in Pyrex pure glass because it’s non-porous, durable and better for the environment than plastic alternatives. 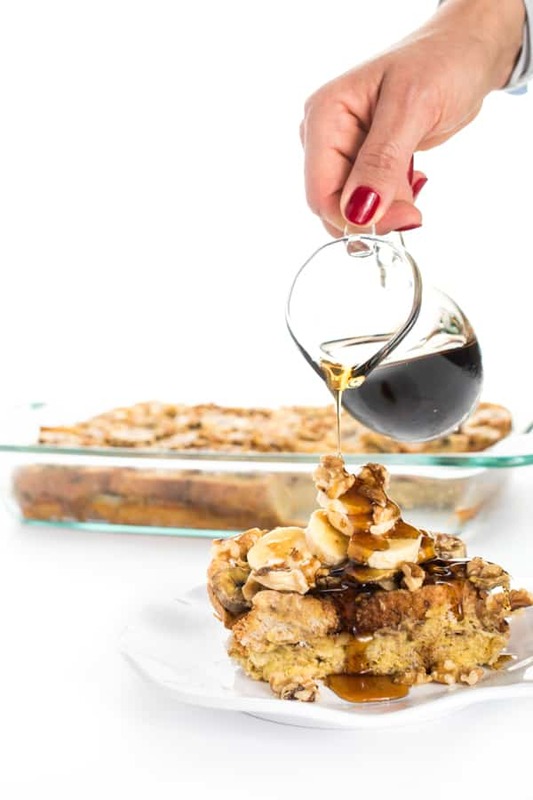 Overnight French toast bakes are one of my favorite breakfasts to prep and store in a Pyrex glass baking dish the night before, making busy mornings so much easier. This recipe will last throughout the week, conveniently kept fresh in the fridge in the same container it’s baked in. The recipe starts with crusty, whole grain bread. I like to use a loaf from a local bakery made with seeds, nuts and whole grains for added protein and fiber but any bread you have on hand will work. Next, top with whatever fresh or frozen fruit you have on hand plus your favorite nuts for texture. 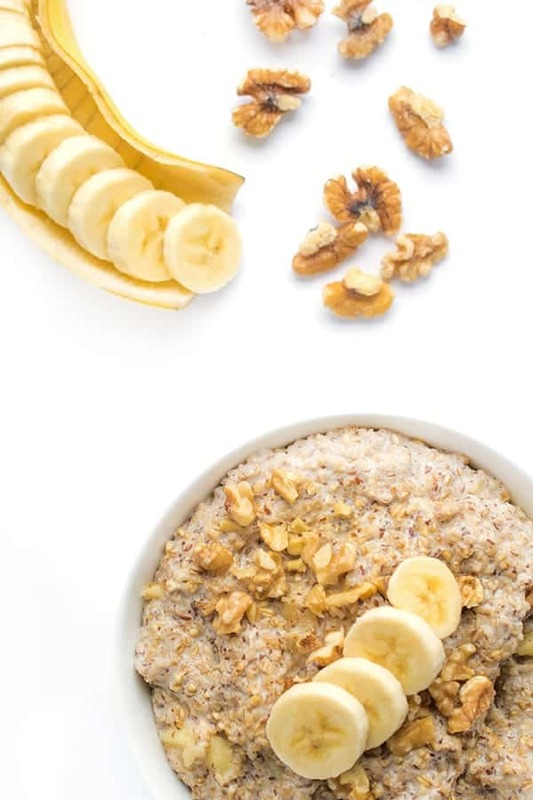 My kids love bananas and walnuts (they eat it all the time in oatmeal!) 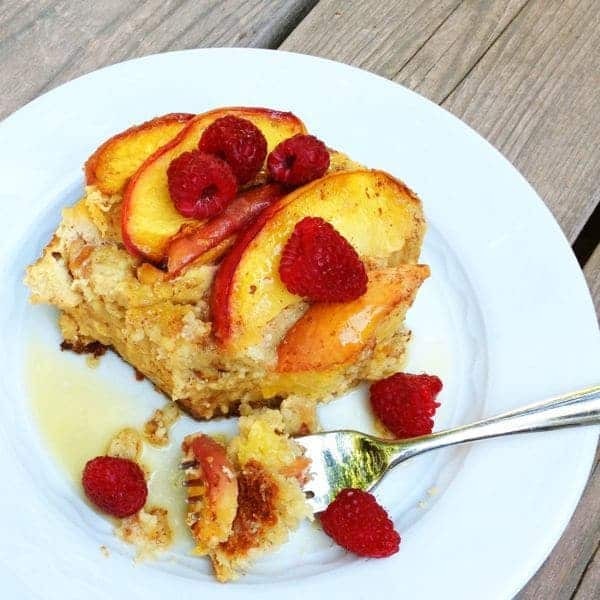 but this recipe would work well with blueberries and hazelnuts, peaches and pecans or any other fruit and nut combo. 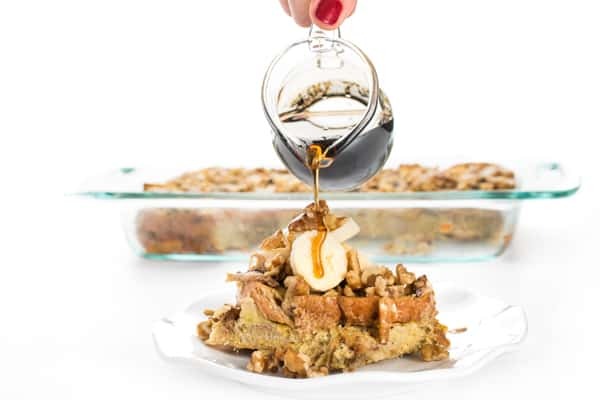 You repeat the layer one more time resulting in a hearty and satisfying banana nut stuffed French toast bake. Typically I’ll bake it Monday morning then keep it stashed in the refrigerator to quickly reheat during busy weekday mornings. 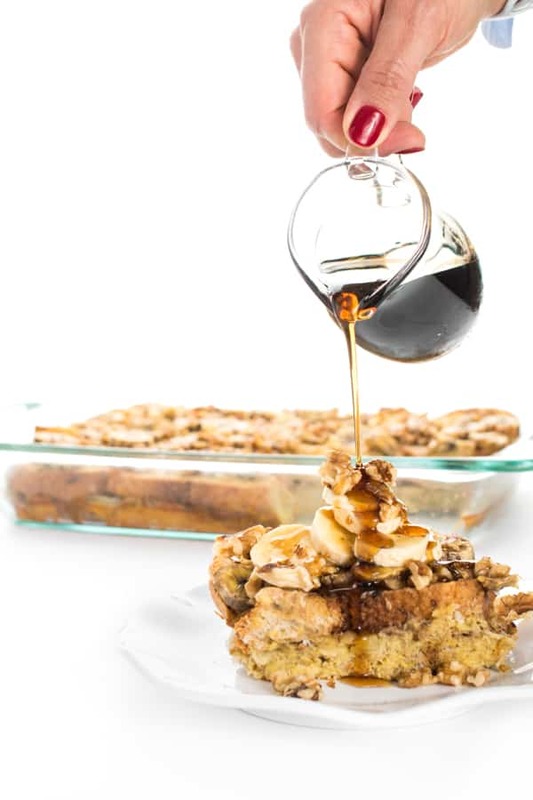 The banana-filled French toast is sweet enough on its own, but I certainly won’t judge you for drizzling on a little pure maple syrup. My boys always ask for extra bananas and walnuts before serving but again, use any fresh fruit you have on hand. I’ve learned over the years that I can sprinkle on just about any type of fruit on top of French toast and my boys will gobble it up. 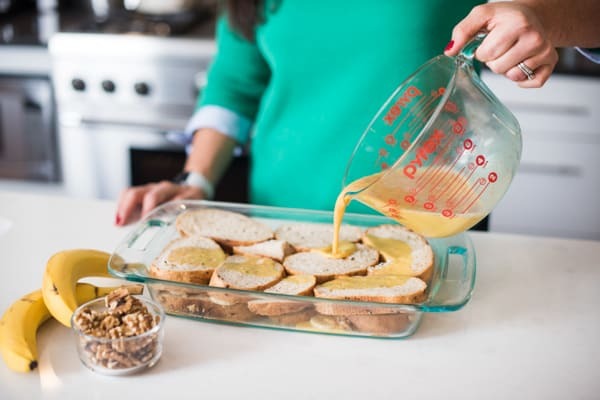 Spray a 9" x 13" Pyrex Easy Grab® Oblong Baking Dish with cooking spray and line the pan with a single layer of bread slices. Note: you may have to cut a slice in half to get most of the pan covered. Whisk together eggs, milk, vanilla, cinnamon, nutmeg and salt in a Pyrex® 8 Cup Measuring Cup. Pour 1/3 of the total mixture on top of the first layer of bread. When you're ready to bake, pre-heat oven to 350 degrees. Remove lid and bake for 30 minutes. Serve with maple syrup if you wish. Disclosure: This recipe is made in partnership with Pyrex. All thoughts are my own. Thank you for supporting the brands that make The Lemon Bowl possible. 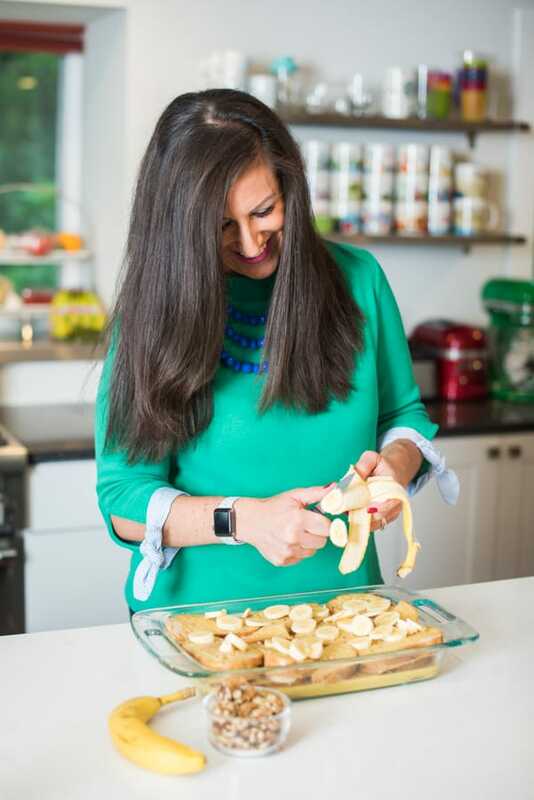 Looking for more easy and healthy breakfasts the whole family will love? 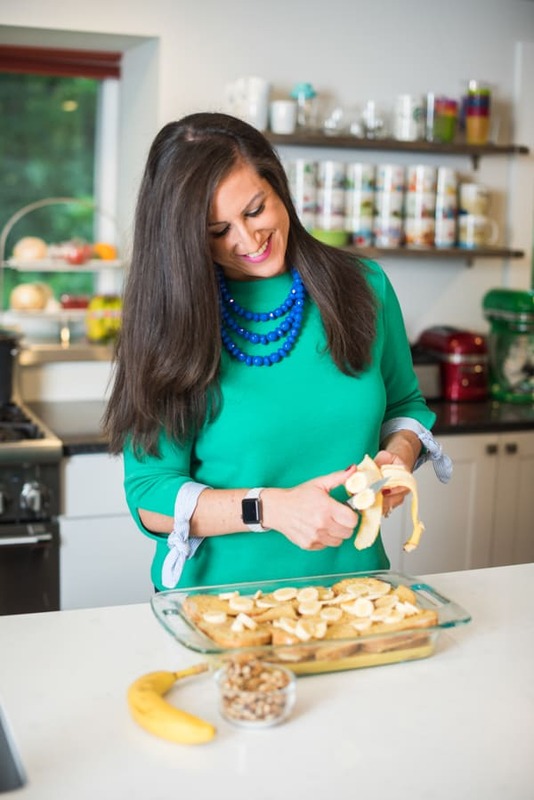 Head over to my Pinterest Board for more recipes! 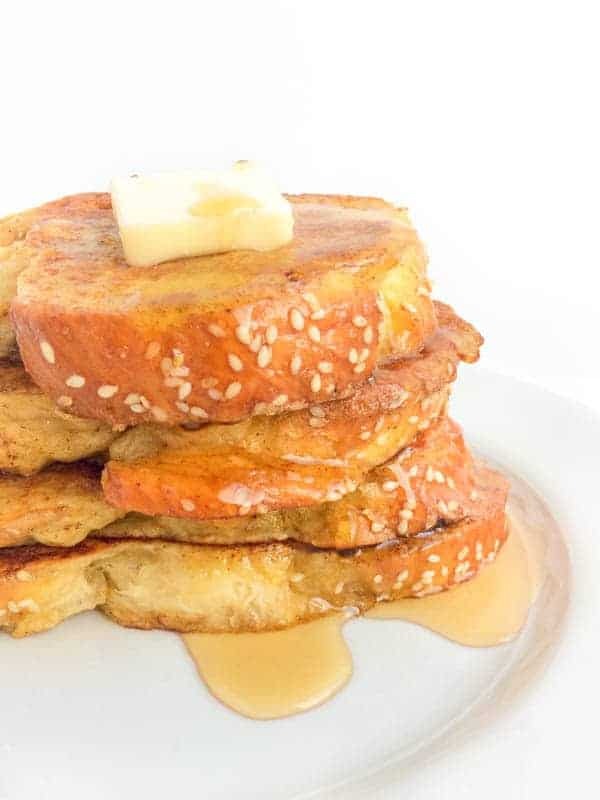 My kids would love this — the make-ahead is perfect for my impatient breakfast eaters! 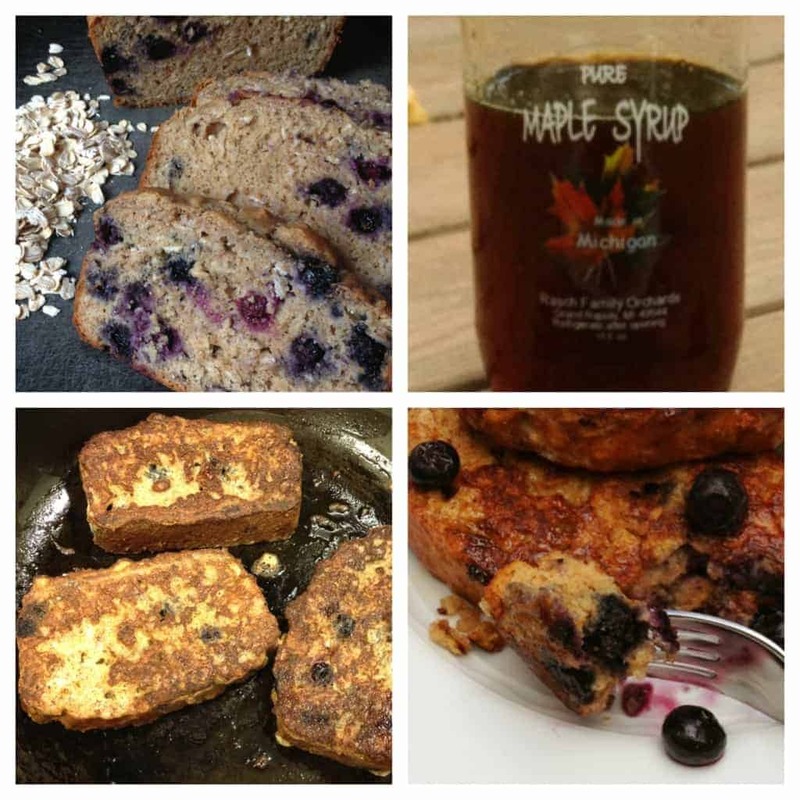 Love breakfast ideas that you can make ahead of time! Saving! I agree that meal prep is the key to getting healthy meals on the table! This looks especially good!